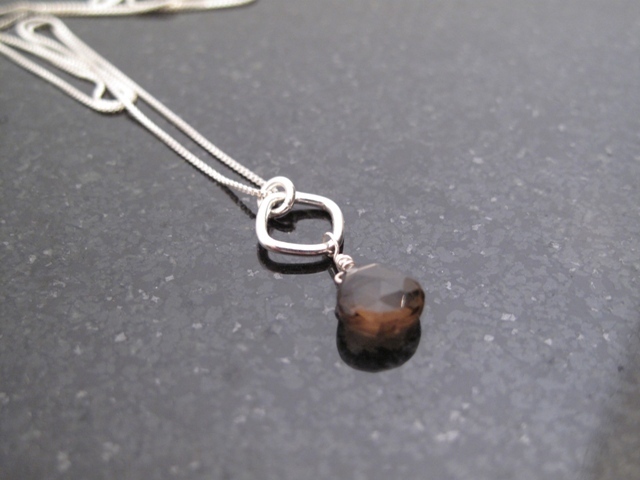 Faceted Smokey Quartz briolette stone hangs on a sterling silver square element, hand-wrapped in Sterling Silver wire. Sold on a 16" chain (please let me know if you would like 18" instead). 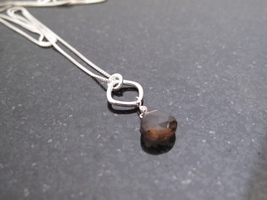 Pendant measures 1" L Itï¿s believed that Smokey Quartz softens negative energy. 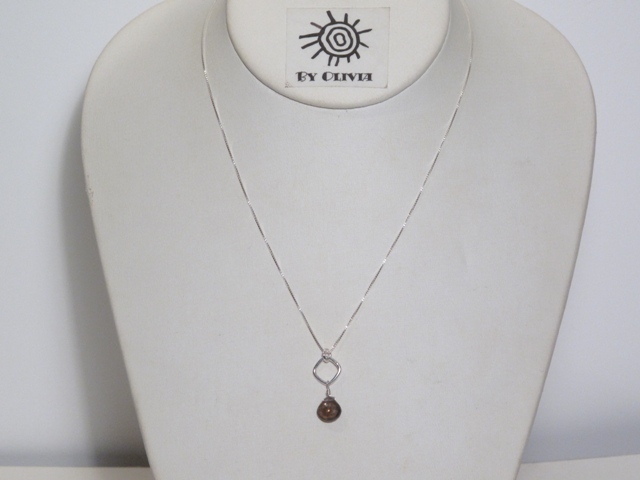 You should wear it if you expect to be around negative people. 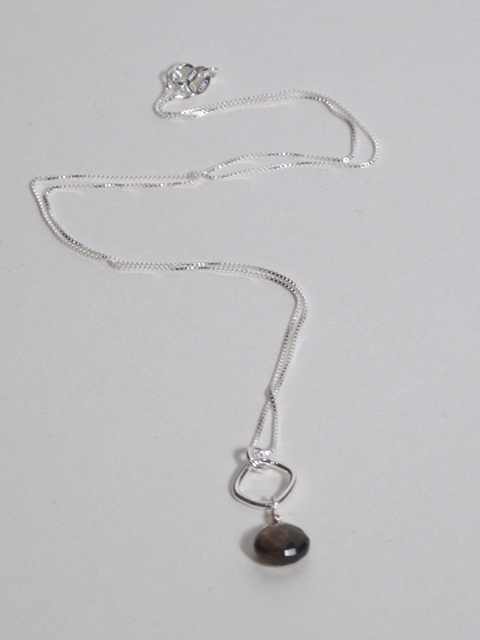 It gives emotional strength and itï¿s good for those who want to stop smoking. 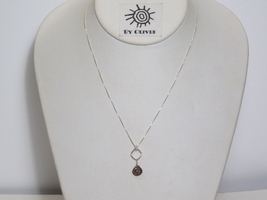 Each pendant is hand-made and may differ slightly from the photograph. 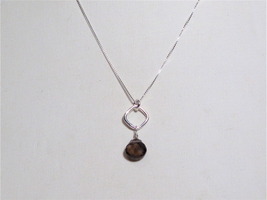 Contact me for custom order info - this necklace can be made in a number of different stones. Feel free to contact me with requests.